Want to stay ahead of the competition in PlayerUnknown’s Battlegrounds? A Redditor has got you covered. Player Unknown’s Battlegrounds is massively popular and it’ll soon be making its way to Xbox One, so if you’re a console player, you’ll be able to get in the action to. 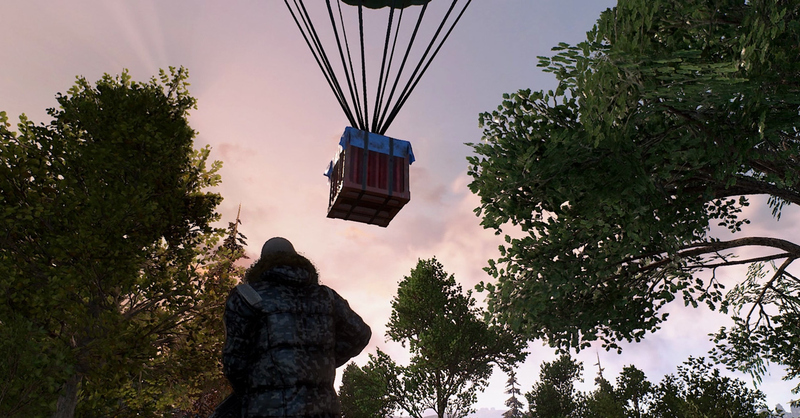 If you’re after some tips to prep you for the console version, or could do with the help on PC, Reddit user Redwood-Lynx has diligently gathered intel on 100 airdrops to let us know what we can find inside, and how rare the various items are. “So over the last three weeks I’ve opened 100 care packages (airdrops) and recorded what was inside each,” they wrote. Redwood-Lynx sorts the loot into unique and non-unique weapons and gear categories. Unique items can’t be found via regular looting. They note that drops also contain random clothing, but the spawn rates aren’t included in the list. They also include handy general tips on airdrops, like the fact that the “time it takes for the crate to parachute to the ground is not fixed and is RNG in nature”. It’s worth a look if you’re loot hunting and want to snaffle up the supply drops before everyone else. Got any hot tips of your own? Share them in the comments. Thanks to GrinningGhillie for the tip.